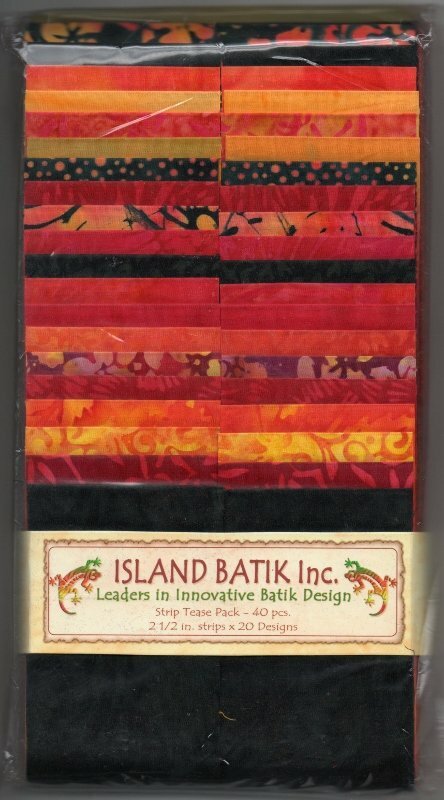 From Island Batiks, a 40-strip set of 2.5" strips in hot reds, oranges and yellows with some black. 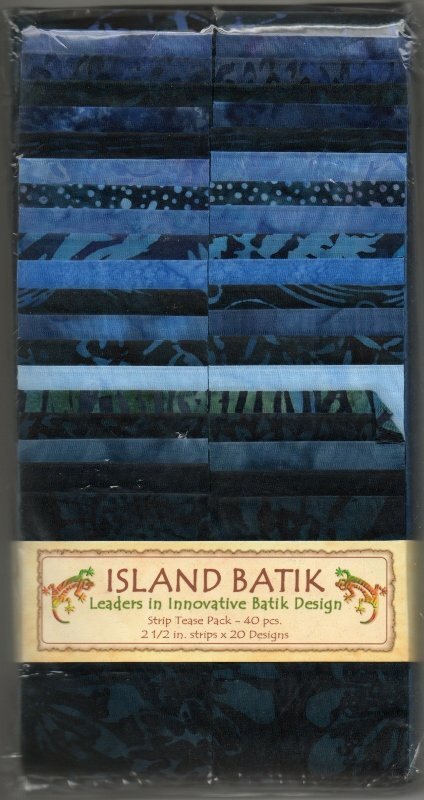 From Island Batik, a prepacked set of 2.5" strips in gorgeous deep, dark blues! Each pack contains 40 pieces, two each of 20 designs. 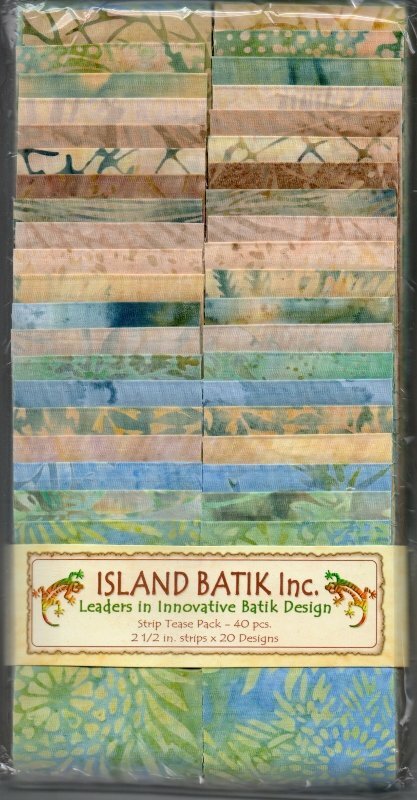 From Island Batiks, a 40-strip set of 2.5" strips in light neutrals. Great background strips! 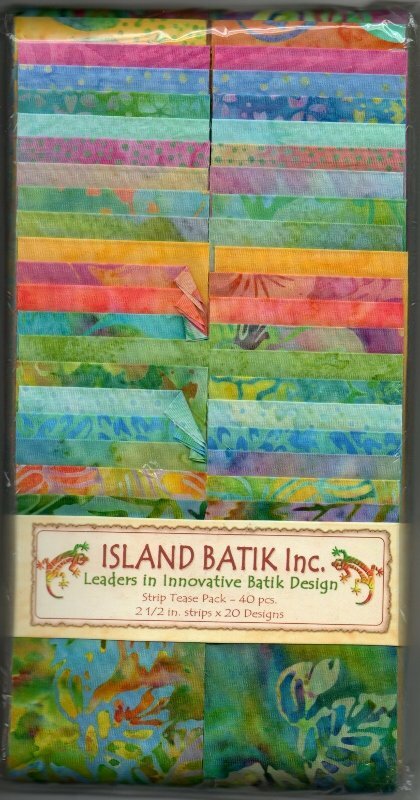 From Island Batiks, a 40-strip set of 2.5" strips in bright pastel batiks. 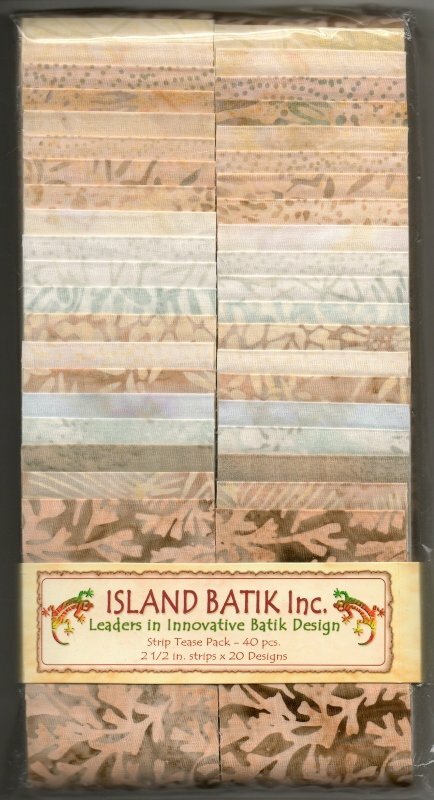 From Island Batik, a pre-packaged set of 2.5" batik strips in lovely pastels and neutrals. Each pack contains 40 pieces - 2 each of 20 designs. 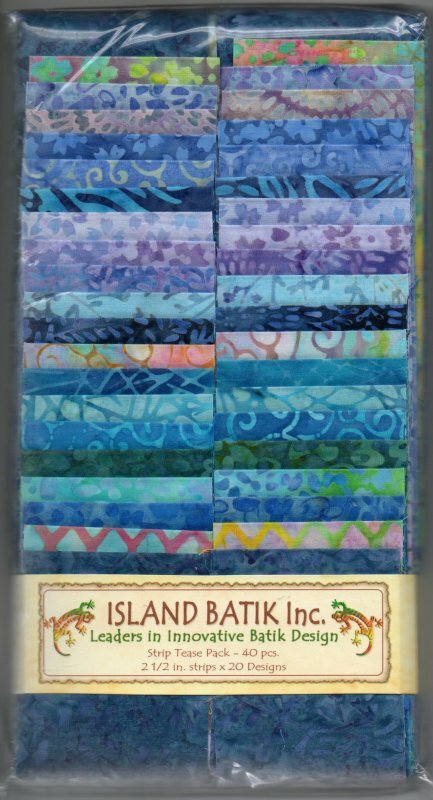 Another gorgeous 2.5" strip set from Island Batiks! Forty (40) 2.5" strips in varying shades of blue and purple. Only one left! Beautiful reds and blues in this 2.5" roll of 40 strips from Robert Kaufman Artisan Batiks has almost a patriotic feel to it. 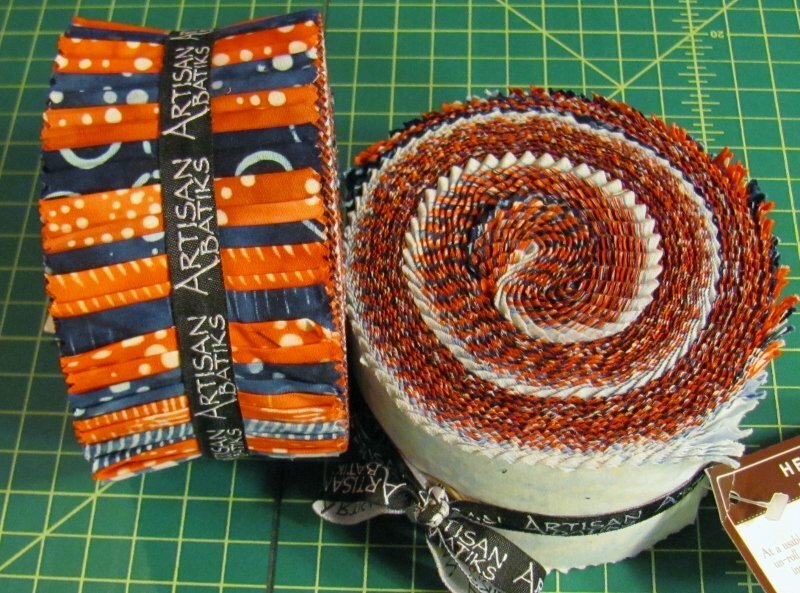 Pair it with our metallic sunburst and Fast Forward pattern from Jaybird Quilts for a winning combination!